As autonomous driving technologies gain momentum, hackers are proving to be a major security threat with the ability to remotely take over your driverless cars. In the foreseeable future, taking a taxi ride would be a whole lot different than what it is right now. As soon as the taxi pulls up in front, you will find yourself sitting in the driver’s seat because there will be no driver. The car will be fully automated and will drive itself to its destination without any human interference. This might seem like a distant utopian fantasy, a scene conjured up by a mind with a bent for science fiction. However, trials and test runs for autonomous vehicles have already begun and this dream, at least in some countries, is not a distant one. Today, most self-driving cars rely heavily on a plethora of technologies and equipment such as sensors coupled with computer vision for detecting objects in the vicinity, complex machine learning algorithms that predict accidents and avoid collisions, cameras, long-range radars, LIDAR (laser scan), ultrasound, short/medium-range radars and much more to function safely in a human-less environment. What would happen if someone, say an angry driver or a disgruntled employee who was laid-off due to the coming of the autonomous era decided to mess with a driverless vehicle? If this person were to employ adversarial machine learning and remotely hack the vehicle, it could have devastating consequences, not only for human life and property, but also for the future of autonomous vehicles. Even though we are developing technologies at an astounding pace, hackers are increasingly finding ways to exploit them for their personal gains. Hackers have already demonstrated that these vehicles on the road are vulnerable to several specific security attacks. In a recent breach, hackers made their way into a Jeeps core functions and could remotely disable the car’s brakes, cause sudden acceleration, and even turn the steering wheel at any speed. Automakers responded by recalling and upgrading the firmware of millions of cars. In another such event last year, researchers at the University of South Carolina and China’s Zhejiang University teamed up with Chinese security firm Qihoo 360 to demonstrate that they could jam various sensors on a Tesla S, making objects invisible to its navigation system. They could even make it seem like objects were present when there weren’t any. 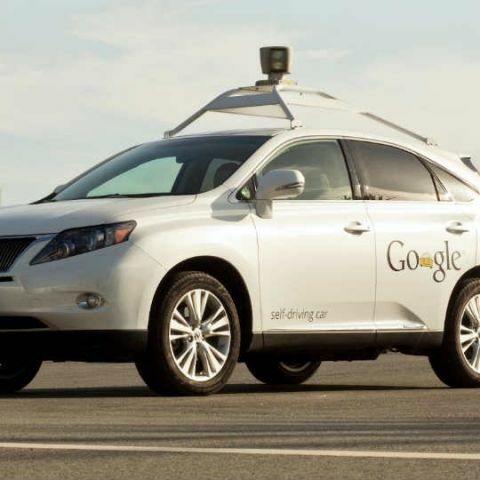 The autonomous vehicle industry seems to be belittling the need for better security. It is only until something awful happens that safety and security expenditures go up. Cybersecurity being a prime example in this case. In the beginning of the dot com era (90’s), internet startups did not pay much heed to their web and e-commerce security. It was only after a series of hacks and eye-opening losses that companies realised the importance of it. Today, Microsoft spends over a Billion dollars on Cybersecurity every year. Google, Apple, Intel and many others have planned to deploy autonomous vehicle solutions on the roads as soon as 2020. Those delivery vehicles or automated taxis could be vulnerable to being hijacked or hacked by an out of work taxi driver who still has car payments to make, or even plain old script kiddies. A few mishaps is all it will take to stop the deployment and future development of driverless vehicles. This might not hamper the development of advanced self-driving systems, but it’s likely to be a considerable setback for the deployment of vehicles that are fully autonomous.